If your home is traditional in its style and decor, but it still lacks the sophisticated look that you want, you should consider adding crown molding to some of your rooms. This design feature, which provides a graceful-looking flair and a finished edge, makes a fabulous cap for walls and pillars in any traditional home. For pillars — If you have any plain square pillars or columns in your home, they’ll look truly elegant topped with crown molding. Instead of appearing like support posts, they’ll look like gorgeous decorator pieces. For walls — Crown molding works exceptionally well in formal living rooms and dining rooms to create an elegant look. The design will turn any dull wall into a work of art. With its traditional finesse, this feature also adds a luxurious appearance to bedrooms to complete the look of your home. – White crown molding is an excellent choice for any traditional home. The light color will enhance the look of your rooms without making the ceiling appear too low. In fact, it can make an area look more expansive because the molding draws your gaze up from the floor. – For traditional homes that have high ceilings, crown molding in a darker shade will add an affluent look to your space. A deep brown will bring an Old World, European flair to your home that you and your family will love. Crown molding adds style and value to almost any house, and you can’t go wrong with this design feature in a traditional home. 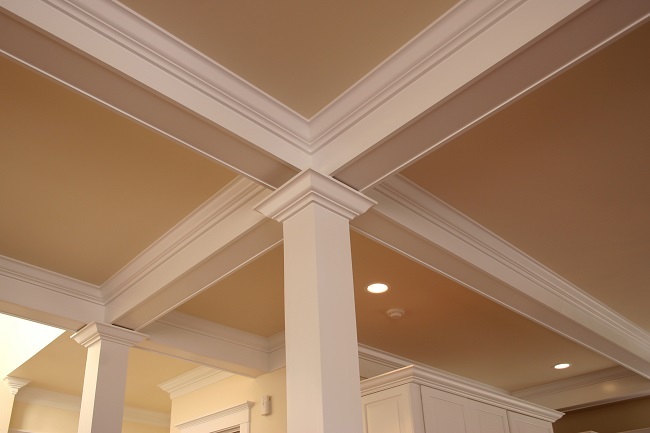 Contact us for more information about placing crown molding in your rooms today. When you want to update your home, you don’t always need to go through a massive renovation that takes a lot of time and money. You can create a fresh and stylish look in your interior by merely using paint. Full Paint Job — One way to update your home’s look is to repaint one or more rooms completely. For a traditional appearance, you can select white, off-white, or a cream color. For something more stylish, opt for light gray or a beige color. When repainting an entire room, be careful not to go too dark, or the area might start to feel small and claustrophobic. Accent Wall Paint — For a trendy look, create an accent wall in one or more rooms. You’ll want to select a bold color that differs from the color on the remaining walls. Or for a more serene look, you can choose a different shade of the same color. You can also use various types of texture so that the accent wall will stand out more in the room. 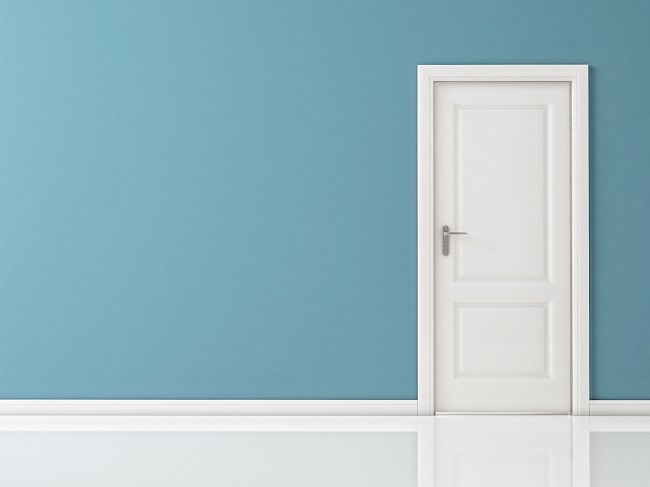 Spot Painting — If you want to add some additional interest to individual rooms, paint the baseboards and doors (or just the jambs) a contrasting color. You can keep the color neutral for a sophisticated look or choose a wild color to infuse some fun into the room, such as when you’re updating an entertainment space or a child’s room. When you paint your home’s interior, the choices are almost unlimited. You can create any look or feel that you want based on your color selections. For more information on interior painting, please contact us today. The two rooms of your home that tell the age of the house are the kitchen and bathroom. 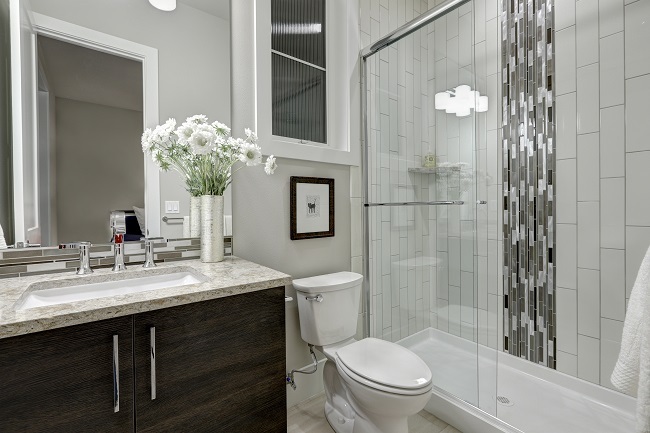 It is not uncommon for the bathroom to end up being the last place you remodel in a home. So, is it time to update that bathroom? If you still have the original colored fixtures, such as avocado or raspberry, it is probably overdue. The biggest reason for updating is that the bathroom is a big influence on your mood and your daily life. It is a small room with a big impact on how you feel as you face the day. You really will feel more energized with a comfortable and lovely space for your morning shower or evening bath. You should also consider that a bathroom remodel increases the value of your home, this is one of the first areas that even a little change can make a big difference. For a cost-effective update, keep your fixtures in the same places. This does not mean you can’t change your tub for a shower. While you are remodeling, have your pipes checked for wear. Eventually even the pipes wear out, and there is no better time for replacing old pipes than when you change out your fixtures. Especially in older homes, the pipes will eventually need some work. While your walls are already open is the best time for these repairs. Remember how long the house has had these fixtures. You want the new ones to last just as well, because bathrooms are not often redone. Plan for your future needs, as well as your present ones. Will you stay in your home into retirement? Consider adding aging in place features now. We all need towel bars, why not make them decorative grab bars? Floating vanities and lever handled sinks are age friendly features that do not detract from the style of your bathroom. If you are changing to a shower from a bath, add a bench and a hand shower. You might not need them now, but they will come in handy later. If you are not planning to retire in your home, you should still consider the resale value such features add. At Excellent American Painting & Handyman Service, we can help you update your bathroom and make it perfect for your life now and in the future. Contact us for more information. Sprinkler systems offer us a lot of convenience and efficiency. We program them to automatically take care of the various areas of our yards while being earth friendly and using only the necessary amount of water. It’s a good idea to have your sprinkler system checked at least annually. You can time your check-up to occur before the hottest months hit so that you’ll be ready for them. Check-ups and repairs are important to keep your sprinkler system at its peak performance. Inefficient Water Coverage. Over time sprinkler heads can break, get clogged, or get shifted from their intended coverage area. The results of sprinkler head problems are dead spots that now get missed during the watering cycle or overlapping coverage that puts too much water on a given area. Leaks. 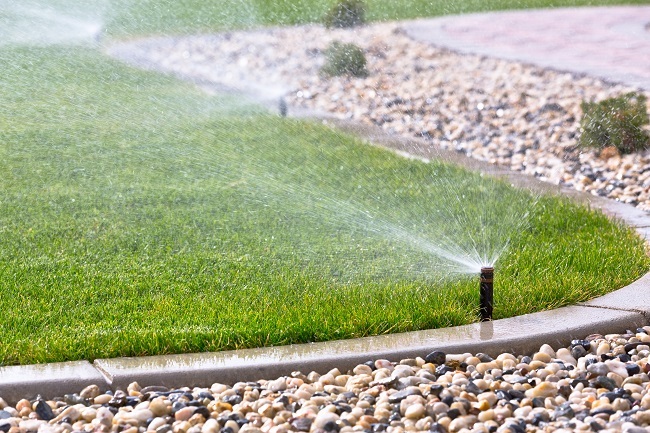 Sprinklers are generally made of some pretty tough weather-resistant materials, but they can break if a tree root crosses the path of an underground pipe, a shovel in the yard accidentally nicks a pipe, or a lawnmower runs into a raised head. The results of leaks range from low pressure at the sprinkler heads to a significant amount of wasted water (and wasted money when the utility bill comes!). Broken Timer. The timer is obviously the brains of the whole sprinkler system operations. Like any electronic device, these timers can malfunction or break completely. It’s important to make sure that your timer is working properly and repair or replace it if it is not. Since many people set their timers to water early in the morning, you may still be sleeping when the sprinklers run and not see that your timer is not operating properly. It’s important to take the time to test your timer. Sprinkler systems are critical to helping us preserve our lawns and gardens during the hot months. Although they are generally very reliable, they do require maintenance and occasional repair. If you are in need of sprinkler system repair, contact us and we will be glad to help! Electricity is one of the most valuable assets in our homes, and one of the most dangerous when it has a problem. This is why you should not hesitate in calling us if you have an issue with your electrical system. 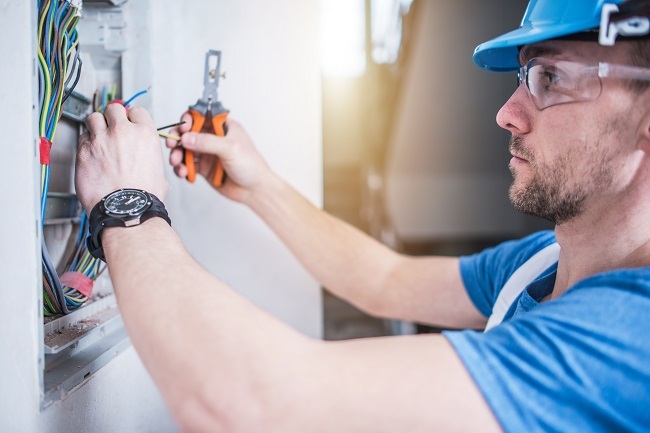 Our qualified technicians are experienced professionals, who will ensure that your electrical repairs are done right to ensure the safety of your home and your family. If your home is several decades old, it was wired for a time when electricity did not play as big a part of life as it does today. We have increased the amount of electronic devices in our homes in ways that home builders did not anticipate. If your lights dim when something starts up, especially your air conditioner, you do not have enough power coming in for everything. You need more circuits in the home, and you usually need a service up-grade. Even if your home is not older, you might need more circuits in areas. If your lights dim when you start using something else in the room, that is a sign of an over-loaded circuit. If you are blowing breakers on a regular basis, that is another sign that you need more power, at least in places. Kitchens are notorious for this problem, because of the amount of power used by microwaves, coffee pots, and electric cooking equipment. That counter-top grill is great. But when you put it on the same circuit as the microwave, you can expect problems when they are both on. Another common problem is when something feels hot, or if you see sparks. Heat is a natural byproduct of electricity, but too much is bad. If your outlet or light switch has these issues, please don’t wait on this. House fires are a lot more expensive than an electrical repair. At Excellent American Painting & Handyman Service, we care about your home and your safety. For more information on this or any of your home improvement needs, contact us today. Who doesn’t like to linger in a warm shower after a hard day? It’s a relaxing reward before we head off to bed. And on a cold morning, a hot shower motivates you to get out of bed and to get ready for the day. When you go to turn on the hot water and it’s not there, it’s a source of panic. We rely more on heated water than we realize sometimes. Water heaters can slowly produce less and less hot water over time or even break completely. When they do, you will need to know your water heater repair options. Corrosion. Visible signs of rust and corrosion can indicate leaks or improper plumbing. If there is rust or corrosion, the problem has probably been there a while. Bad smelling water. 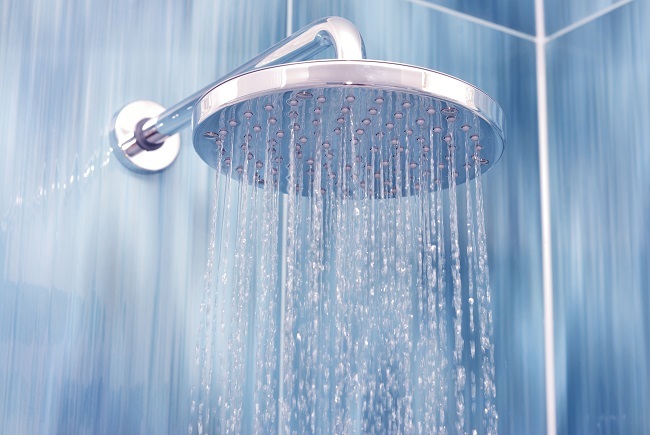 If your hot water has an odor to it, there is a problem with bacteria. A common odor caused by bacteria is a sulfur-like or “rotten egg” odor. You can determine if it is a water heater problem by running only cold water to see if the cold water has the same odor as the hot water. Not enough hot water. If you notice that the hot water seems to run out more quickly than usual, there are a number of potential causes including a failing heating element. If you are experiencing any of these (or other) problems with your water heater, contact us so that we can help you understand your options to repair or replace your water heater. We will help get you back into a nice warm shower in no time! Your garbage disposal is one of the handiest tools in your home, that is, until it stops working. Don’t wait until it needs to be replaced, look (and listen) for these 4 signs that your garbage disposal needs repair. The garbage disposal smells bad, really bad. If you have tried to clean your garbage disposal with vinegar, citrus, or harsh chemical agents, and it still smells horrible, chances are it’s time for a professional to take it apart and clean it thoroughly. Depending on how old the device is, though, you may just want to replace it completely and instantly have cleaner air! Something doesn’t sound right. While a garbage disposal is noisy, it should never sound like metal is grinding on metal. This could signal that parts have begun to move incorrectly. Call in a professional right away for a tune-up. If you let the problem go on for too long, you might have to replace the whole unit. Water is leaking from the disposal. If the water is leaking from a seal on the unit, chances are a professional can nip the problem in the bud. Unfortunately, a leak coming from a crack in the device itself, is a sign that you should just replace the whole disposal. The garbage disposal jams, constantly. We love garbage disposals because of their ability to break down various sizes of food items. If your disposal jams at even the smallest particle of food, it is definitely time for a professional inspection. If one of your kitchen chores for this year is repairing your garbage disposal, contact us today for more information! Do I Need an Annual Plumbing Maintenance Inspection? People don’t often put much thought into their plumbing systems. Their design makes them durable, and the expectation is that your water will always flow. Nevertheless, your plumbing does need regular care to ensure its longevity and limit costly repairs. Consequently, a trusted, professional plumbing service can help ensure that your system is in the best possible shape with regular annual plumbing maintenance inspections. Even if you have a new home, or a newly installed plumbing system, you can benefit from annually scheduled maintenance. 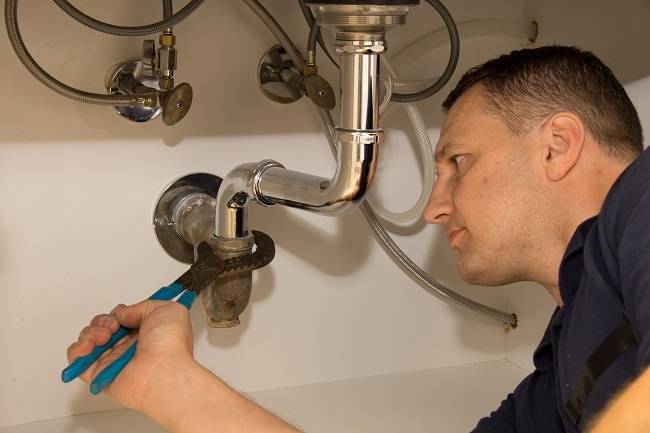 Plumbing maintenance is more than just checking for leaking pipes or corrosion. Plumbing maintenance inspections also encompass many appliances that you use on a daily basis: water heater, garbage disposal, dishwasher. As an example, it is vital that your water heater receives an annual inspection and maintenance tune-up. This is the only way to ensure the water heater works correctly and efficiently. It is a simple fact of the matter that you are going to need a new water heater long before you need to repipe your home. Regardless, you can avoid many potential problems with an annual plumbing maintenance inspection. A failure of your water or sewage lines can cause extensive damage to your home. 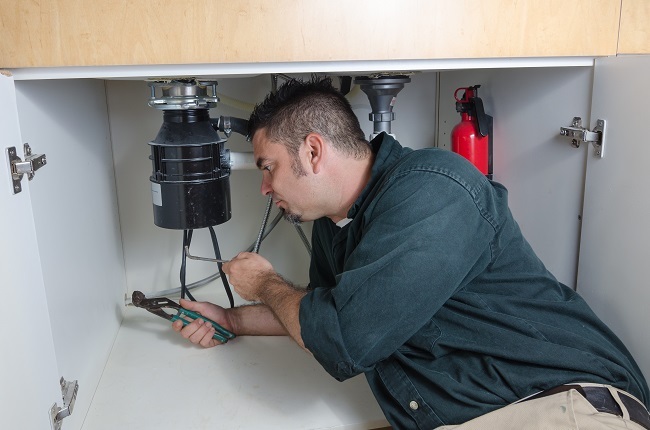 A professional plumbing service will check your supply lines, shut-off valves, faucets, toilets, and drains. Additionally, they will check your water heater, washing machine, sump pumps, and any other appliances. They are looking for any leaks, corrosion, and blockages. At the inspection’s completion, the plumber will provide you with a list of repair and upgrade recommendations. Do you have any questions? What haven’t we covered yet that is important to you? If you would like to talk about an annual plumbing maintenance inspection, or a related topic, please contact us. How Often Should I Be Pressure Washing? New homeowners are often at a total loss when it comes to all the new responsibilities. Many move from cities, or even from childhood homes. When they hand you the keys and deed, they should also give you a handbook for everything you have to learn/do when owning a house as it is truly another full-time job. After the first year of ownership, some may noticed that a once beautiful deck and exterior of a house often becomes grimy and brown. Needless to say, power or pressure washing was something that most new homeowners have not done, or even know is necessary. And boy what a difference it makes. In order to avoid future degradation, power washing is a great alternative to scrubbing by hand since the water does the work for you. The amount you should do it really depends on the area in which you live as more harsh weather brings more debris. A good rule of thumb is once a year. 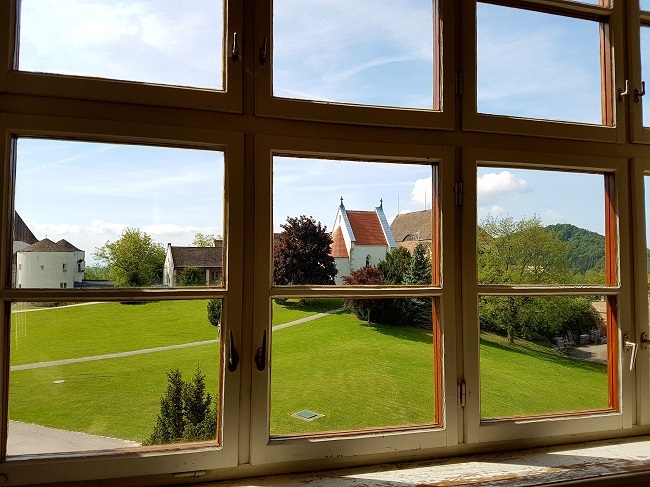 In more mild environments people may to it every other year, but mold can also be an issue, so people have been known to even do it twice a year. For decks, every 8 to 12 months should suffice. That said, the state of the finish is a good indicator. 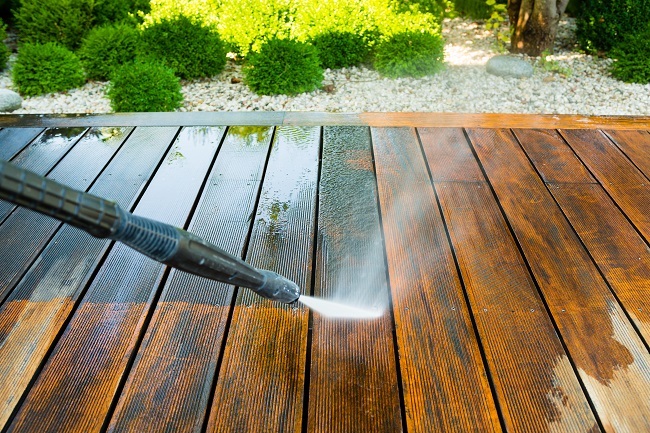 If the water absorbs right into the wood as opposed to beading off, it is probably a good time to think about power washing it before you add another coat of finish. Fortunately, a good service can take this concern off of your plate and give you one less household chore to worry about. To find out more about all of our commercial and residential cleaning services, contact us today!